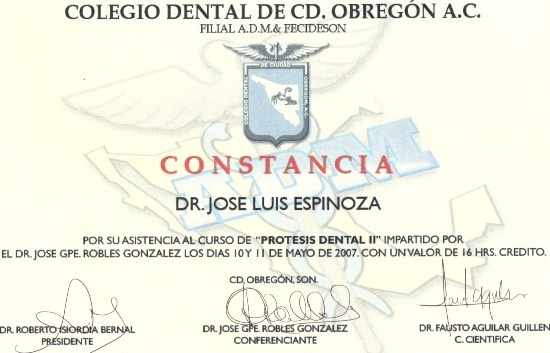 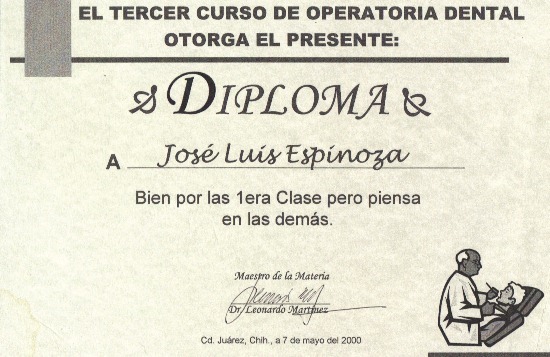 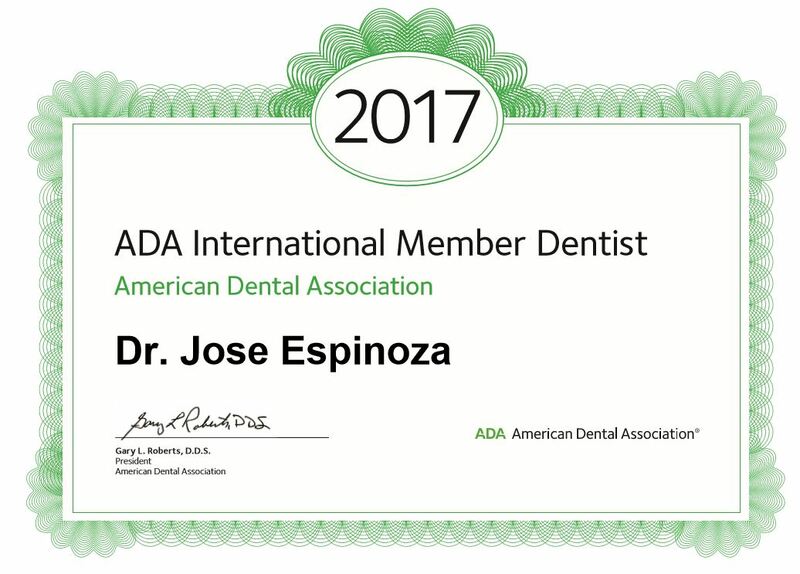 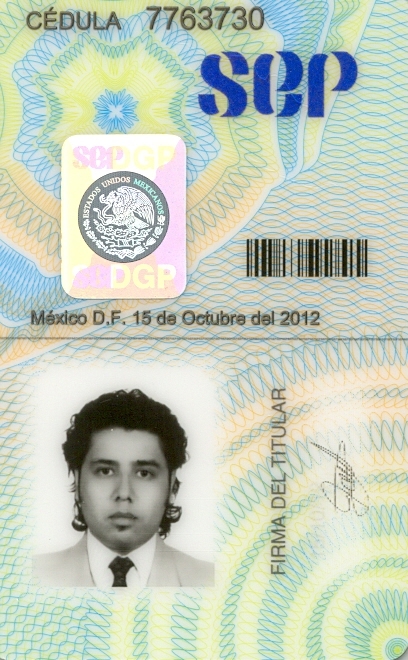 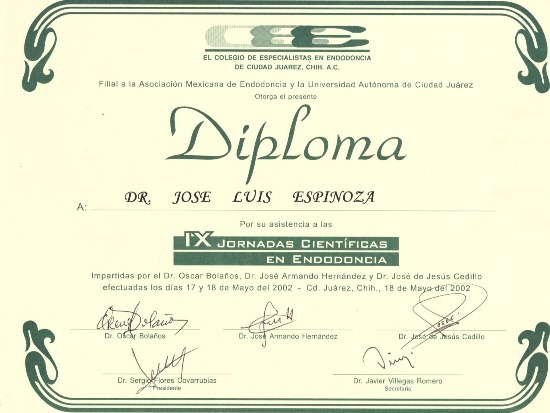 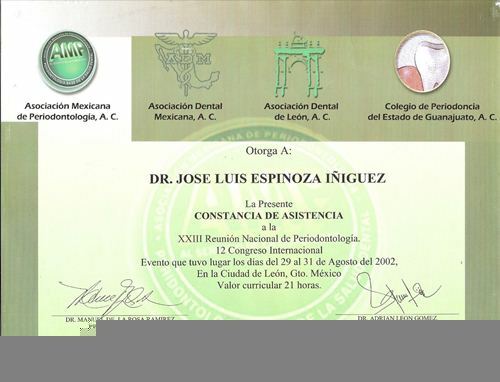 Graduated from the University of Ciudad Juarez with his degree in General Dentistry in Ciudad Juarez, Mexico. 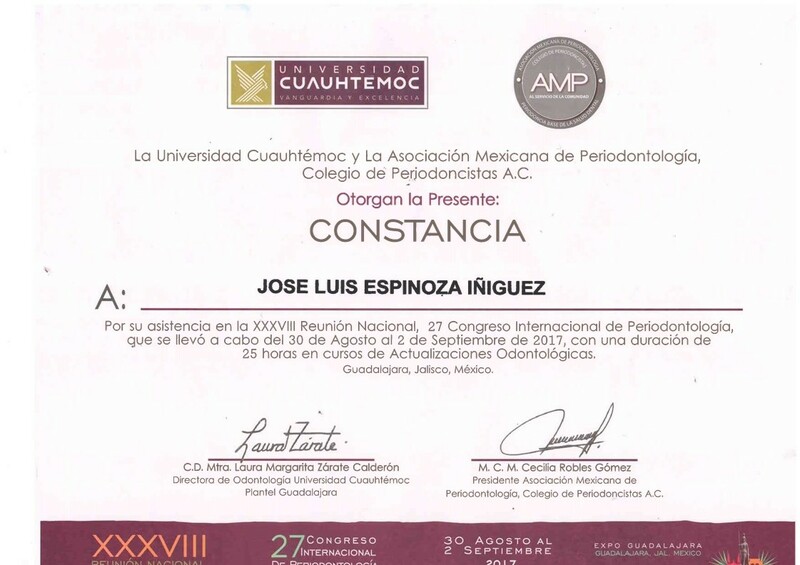 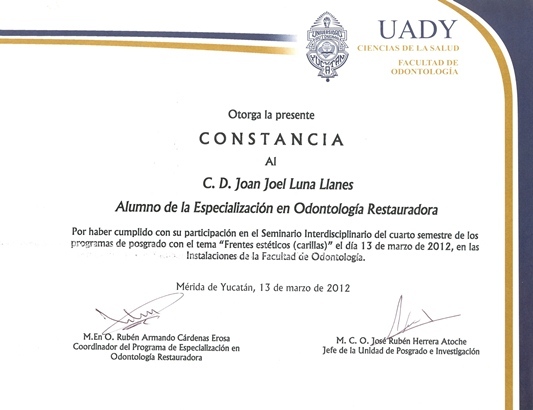 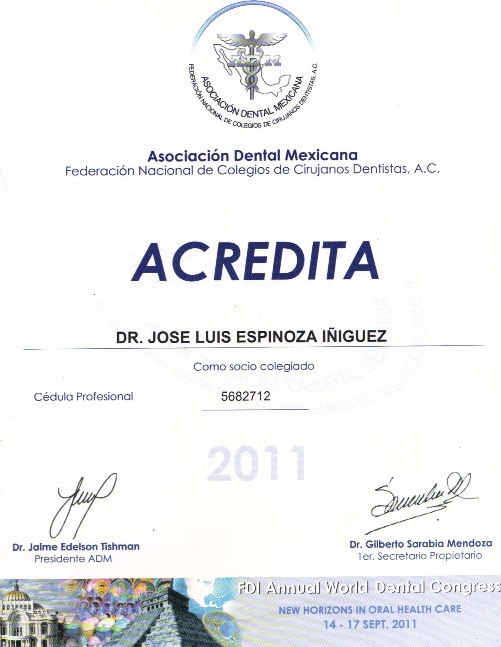 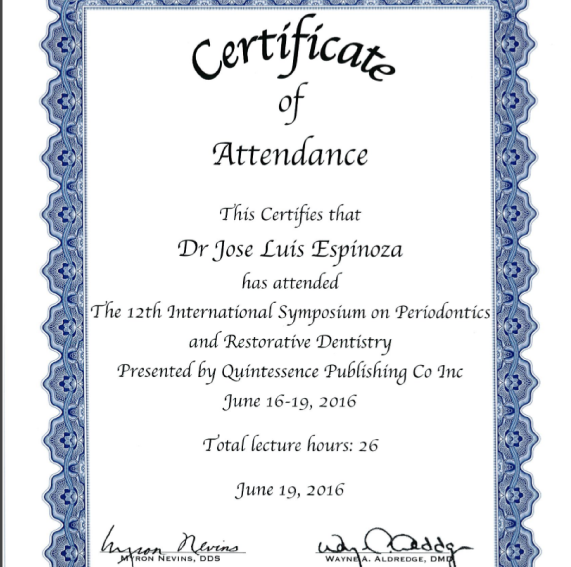 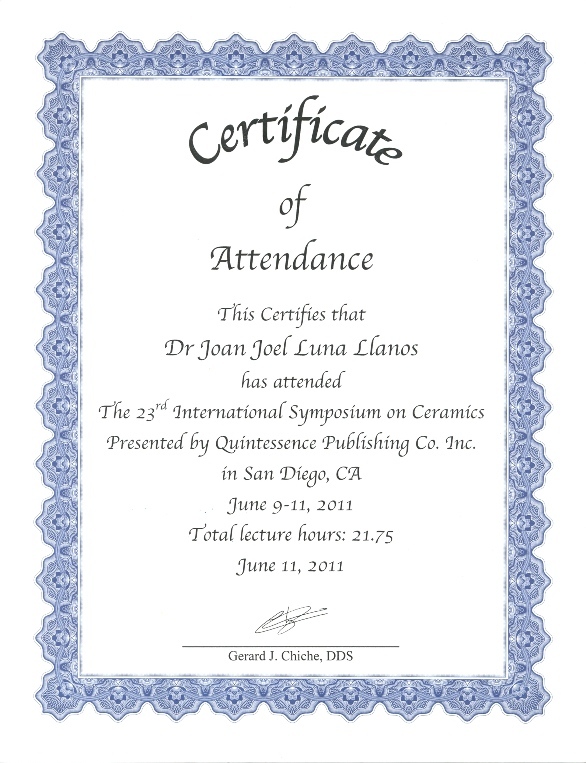 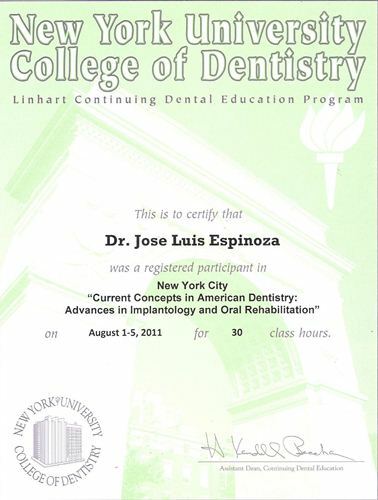 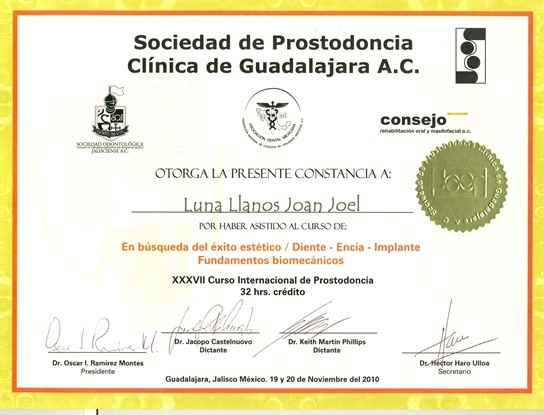 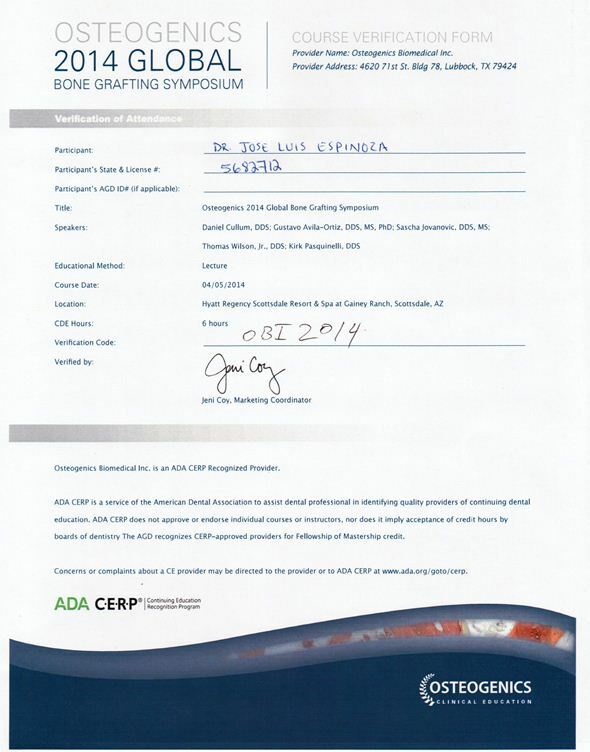 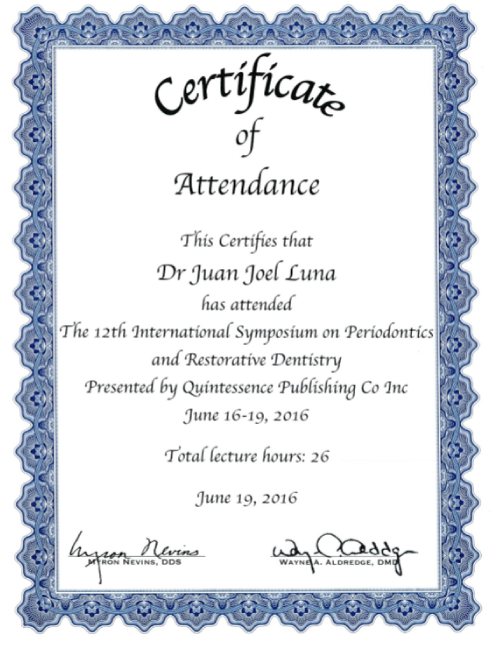 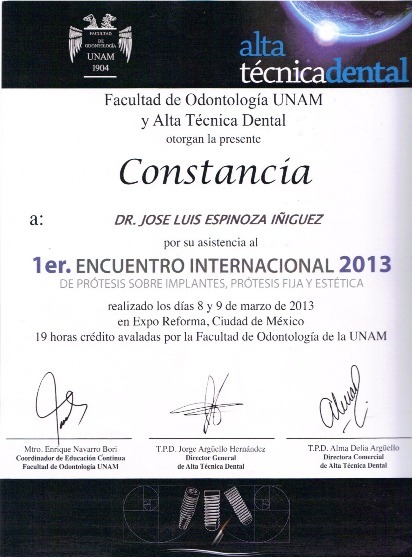 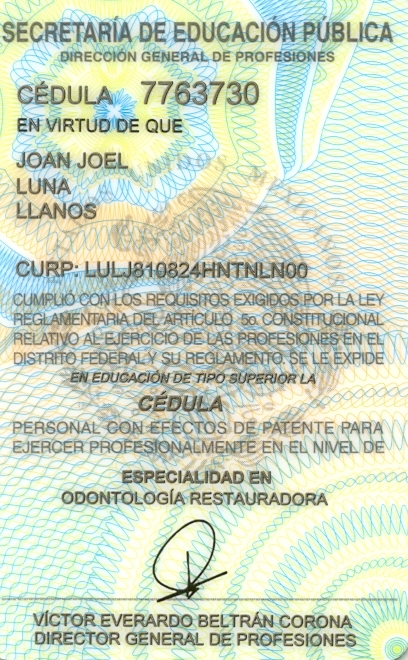 Completed graduate studies at the University of Ciudad Juarez in Periodontics Ciudad Juarez, Mexico. 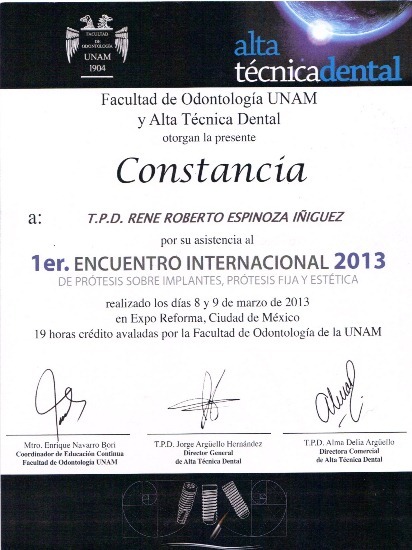 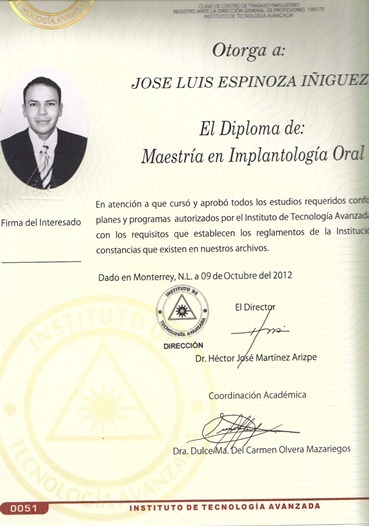 Completed Masters Degree in Oral Implantology at the Biomedical Sciences Institute in Monterrey, Nuevo Leon, Mexico. 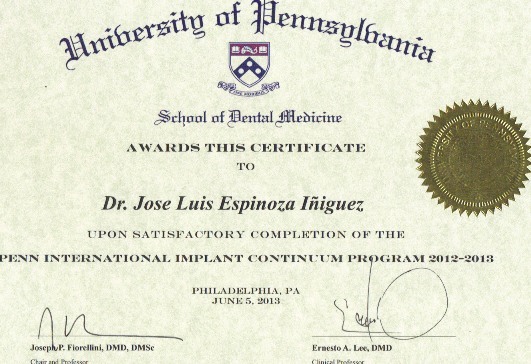 Currently the doctor has completed the 1st of 3 phases of the National Board Dental Exam (NBDE) at the University of San Diego, California to become qualified as a dentist in the United States. 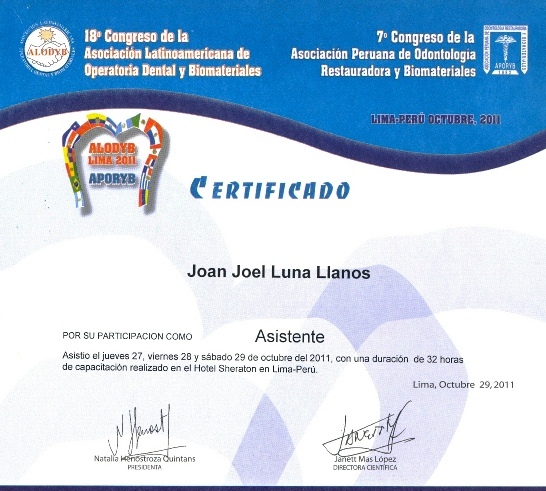 As a young man, he decided to help people to get healthy through oral health. 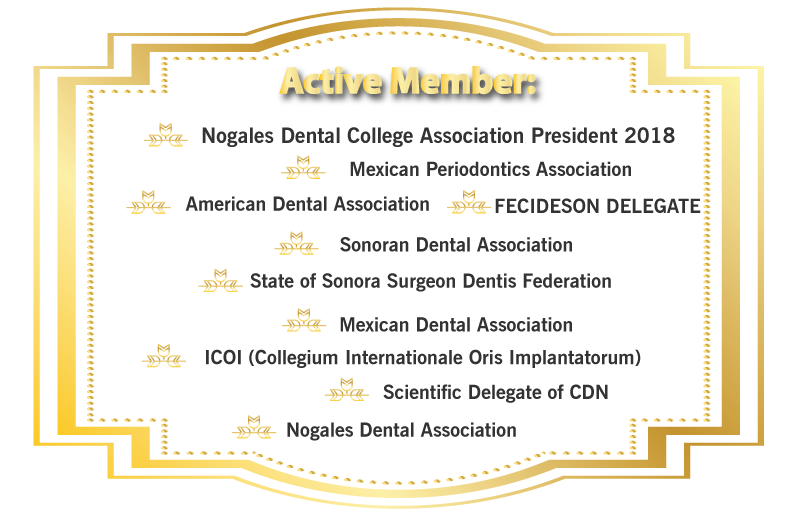 As a Doctor worried about his patients, Dr. Espinoza dedicate part of his time to study the relationship with Periodontics disease and others systemic diseases like for example Diabetes Mellitus, Heart Disease, Premature Childbirths, and others. 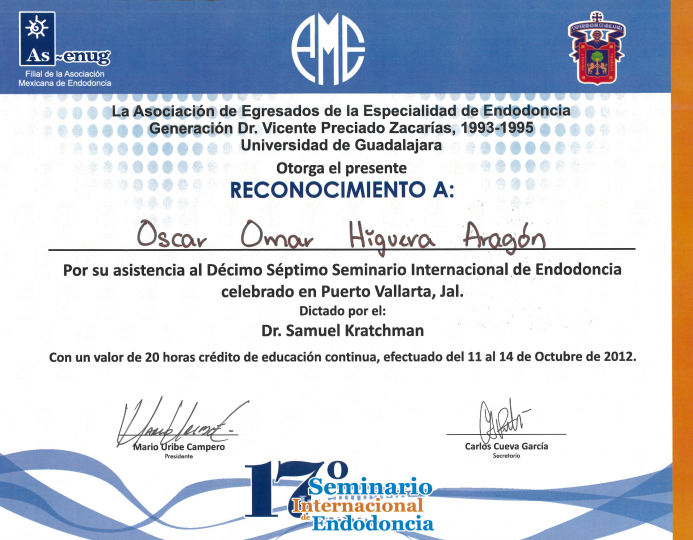 These studies have helped him understand relationships and better serve his patients total health care. 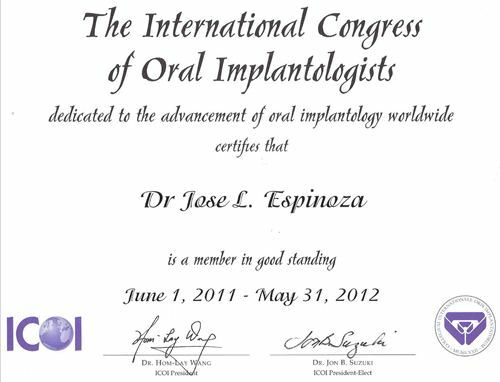 Please click on this link to find out more about this important relationship: The Mouth-Body Connections. 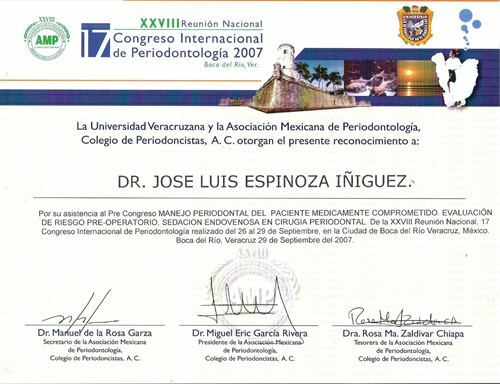 The PERIOGROUP practice was established in 2004. 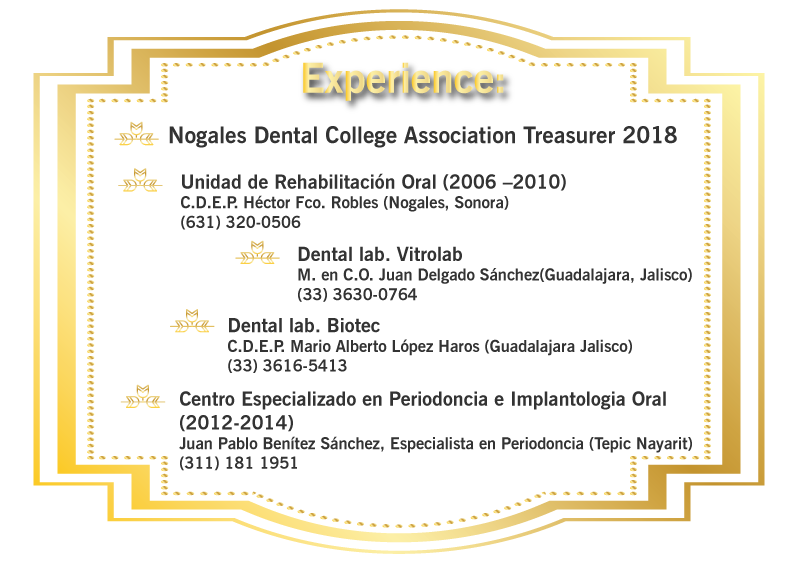 It has a highly trained staff of technicians and assistants that makes your dental experience very pleasant. 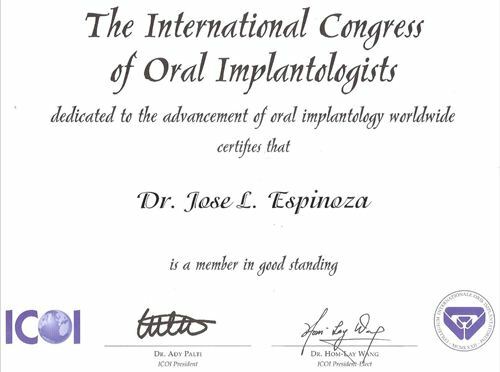 The staff and the doctor all speak both English and Spanish, which of course, make it much easier to understand your treatment options. 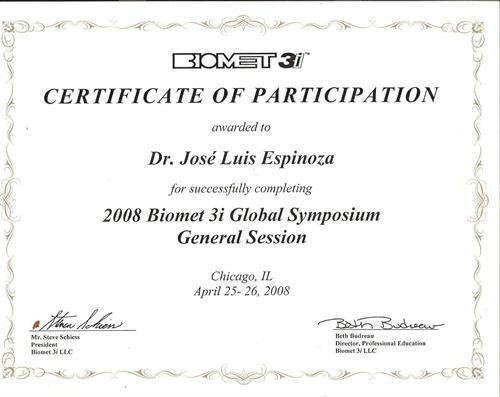 "LXVII Provintial Dental Reunion "Dr. Jaime Avila Soto"
22 INTERNATIONAL PERIODONTICS CONFERENCE BIOMET 3I ¨Cellular therapy"
Dr. Jose Luis Espinoza Robles, D.D.S. 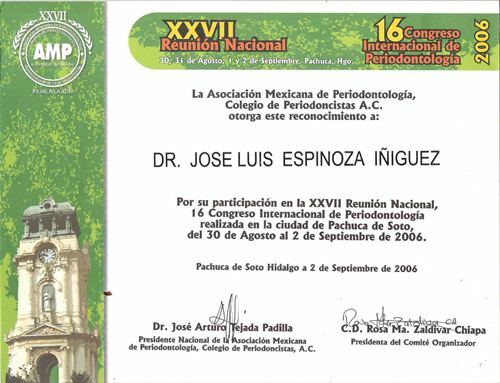 LXVII Provintial Dental Reunion "Dr. Jaime Avila Soto"
Dr. Luna is a graduate from Universidad Autónoma de Nayarit (Mexico) and received his dental surgeon degree. 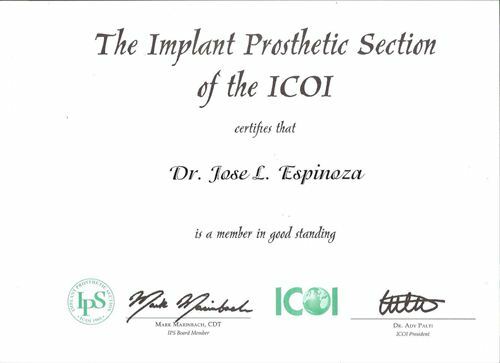 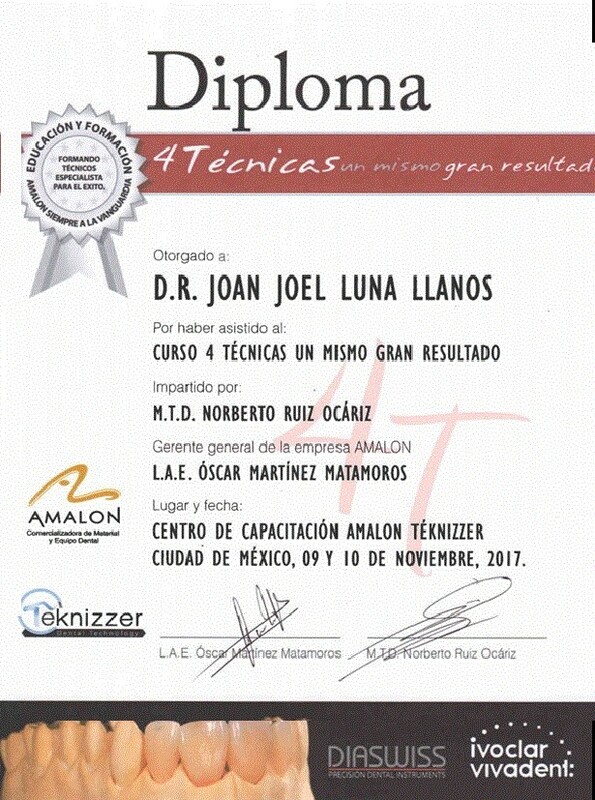 After graduation he worked in two Dental Laboratories in Guadalajara Mexico; Because of his desire to provide the best care to his patients and to continue his training in the dental prosthesis area. 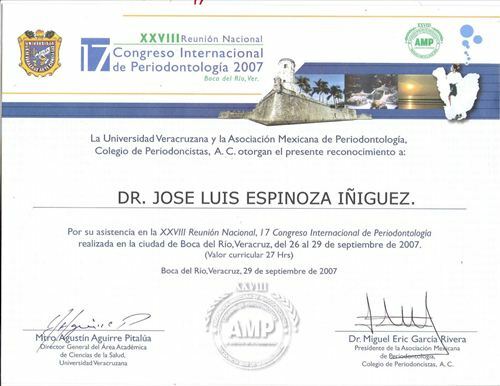 Following this, he completed his studies at the Universidad Autónoma de Yucatán (Mexico) and obtained the specialty in restorative dentistry. 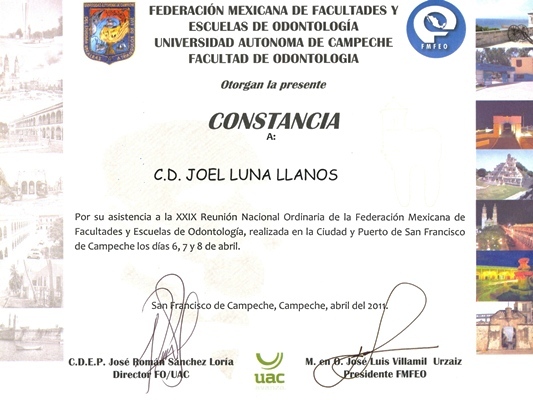 XXIX Reunión Nacional de la Federación Mexicana de Facultades y Escuelas de Odontología. 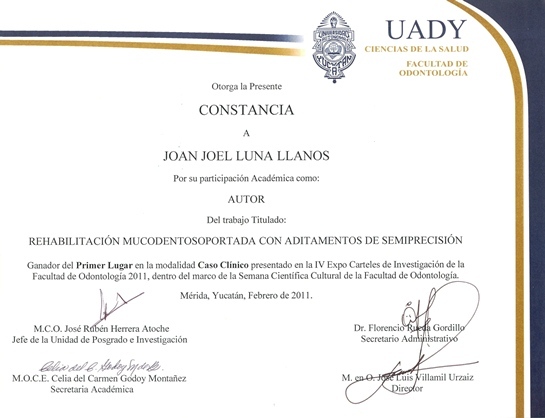 First place at the IV expo posters of research at the University of Yucatán. 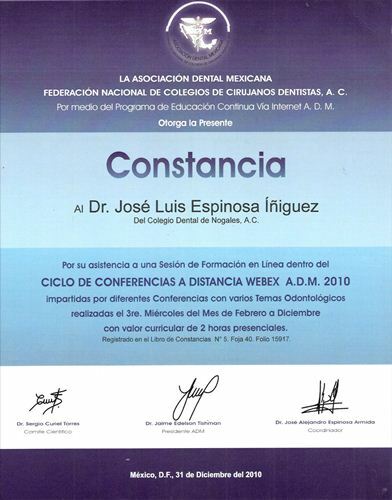 Presented at the National Research Competition of the Mexican Federation of Colleges and Schools of Dentistry. Presented at the conference in the form of posters and tables clinics 18th congress of the Latin American association of operative dentistry and biomaterials. 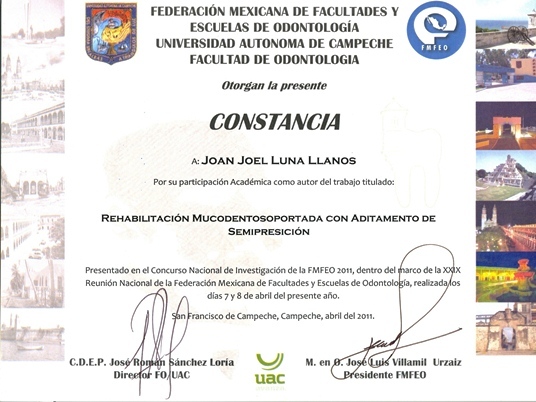 Atrophic Maxillary rehabilitation with Implant Prosthesis. 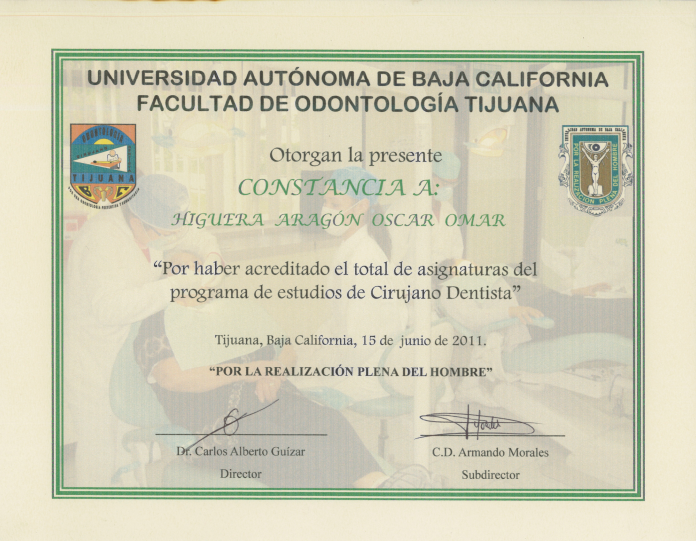 Graduated from the Autonomous University of Baja California with his degree in Genera Dentistry in Tijuana, Mexico. 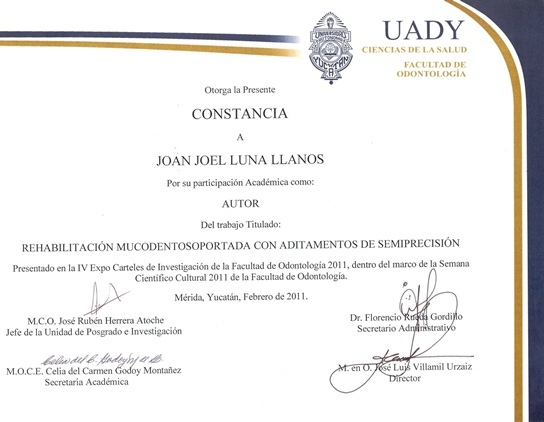 Completed graduate studies at the Autonomous University of Baja California on University Center of Posgrate and Health Investigation (CUPIS) in Endodontics. 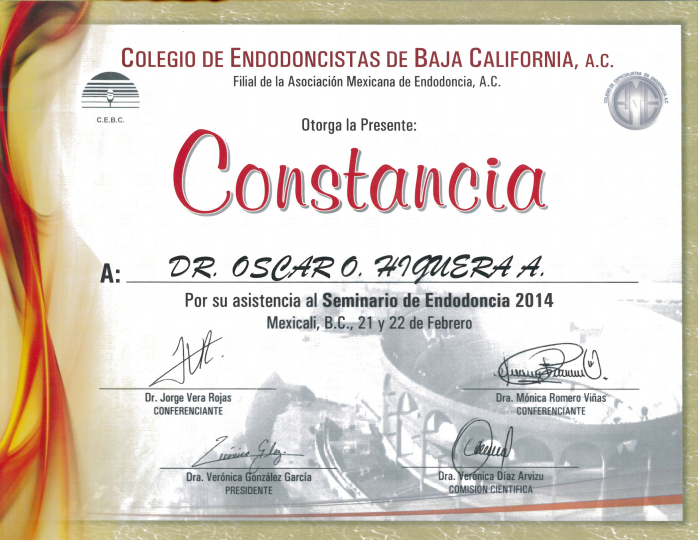 XXVII Seminario Internacional de Endodoncia Colegio de Endodoncia de Guanajuato A.C. 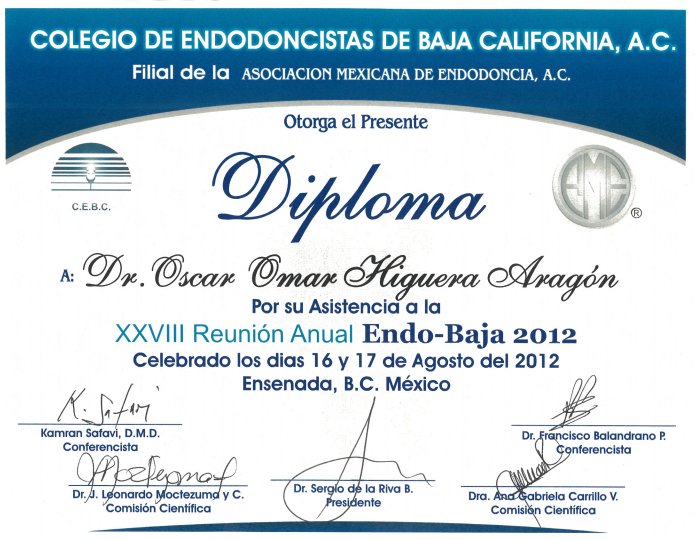 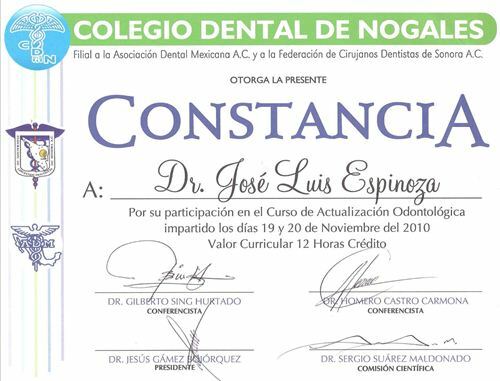 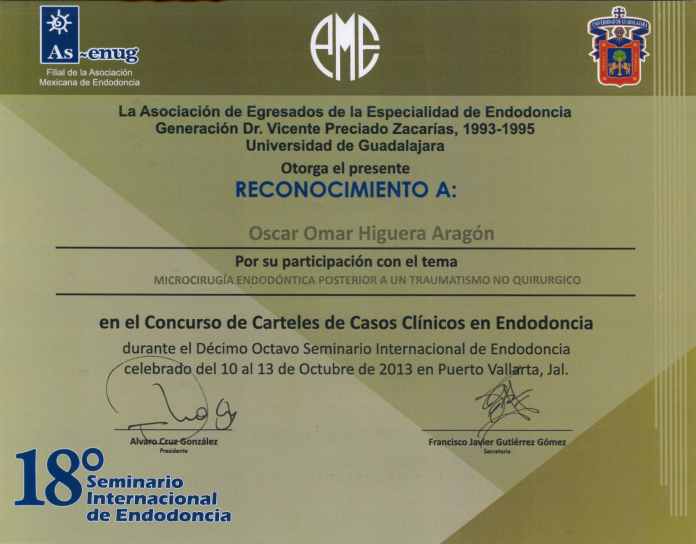 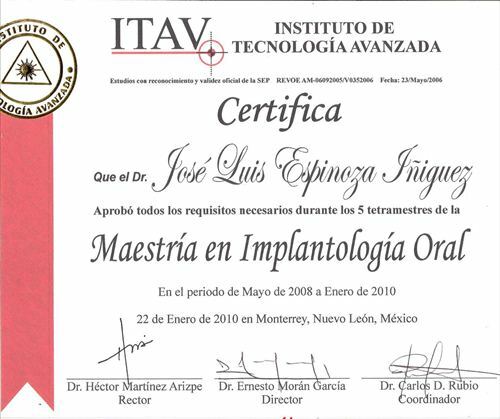 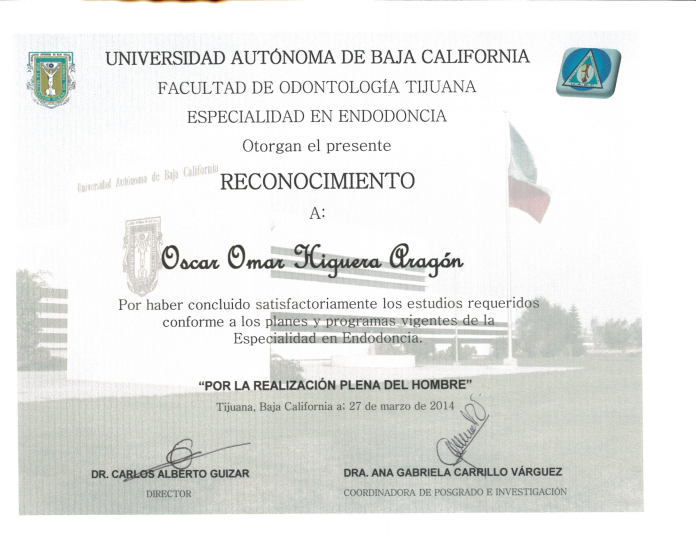 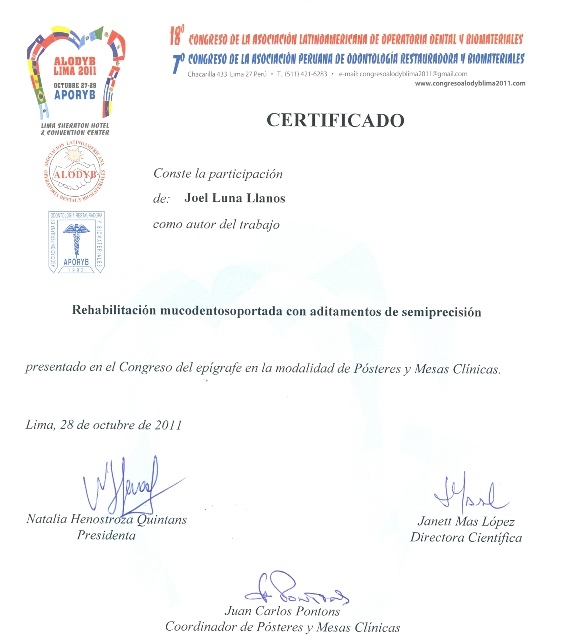 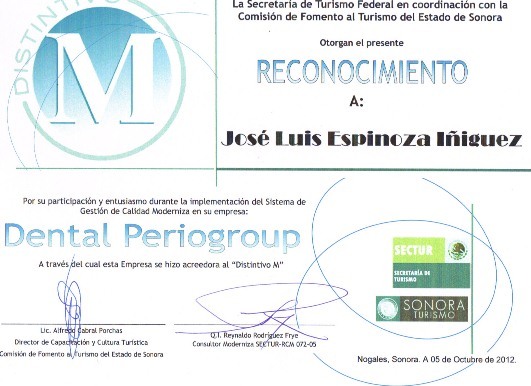 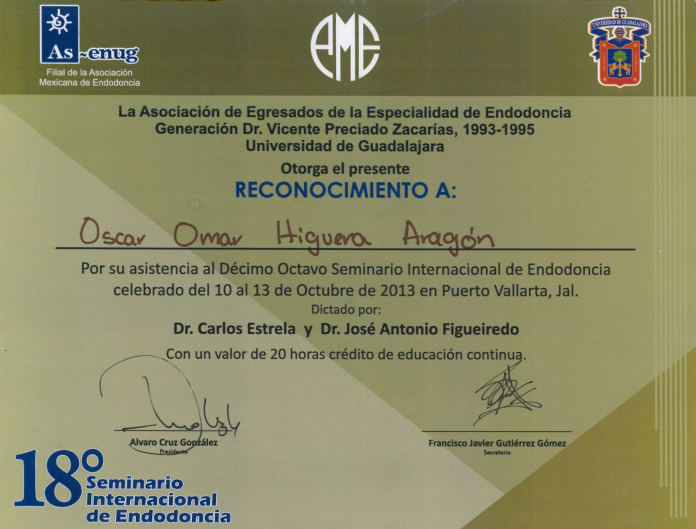 Dental surgeon in the university of Montemorelos, Nuevo Leon, in December 2012 Obtain the specialty in Restoring Odontology, in the University Autonoma de Yucatan in the Odontology faculty in Merida Yucatan, Mexico 2016. 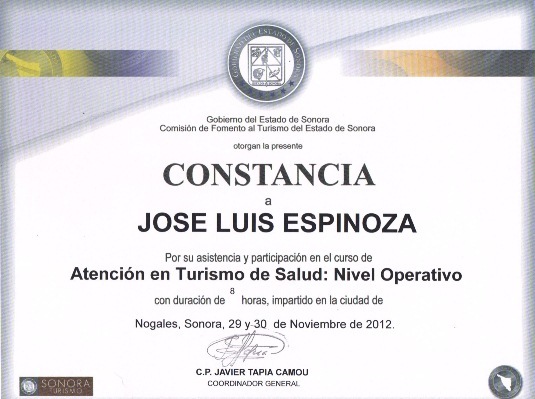 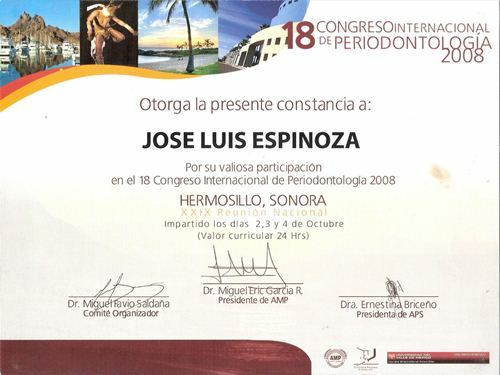 I International Congress Stomatology in Nuevo Leon - November 2009. 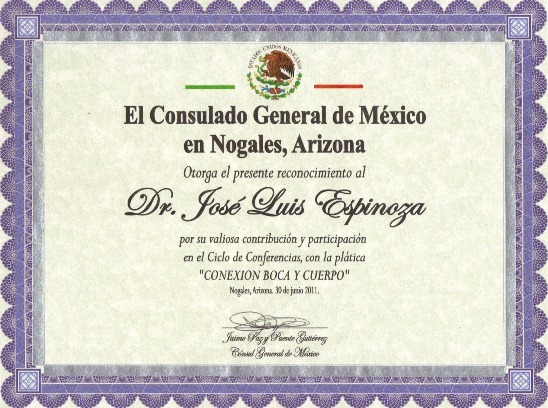 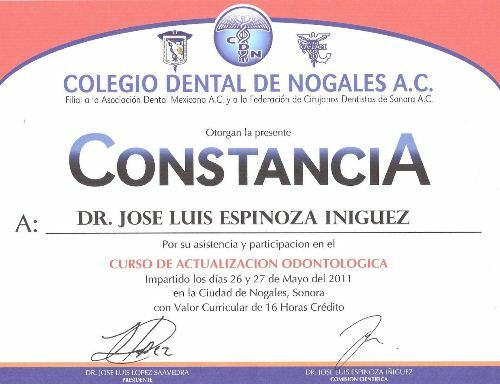 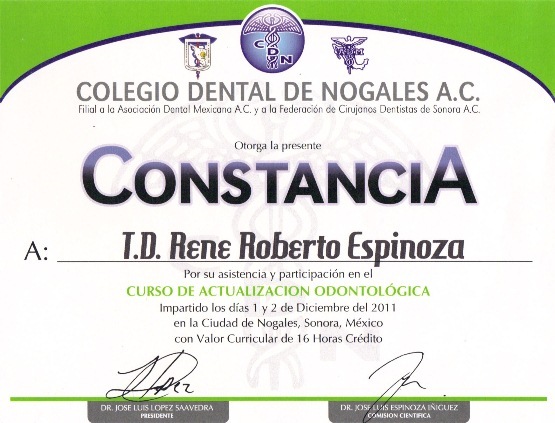 Odontology actualization by the Nogales Dental College - December 2011. 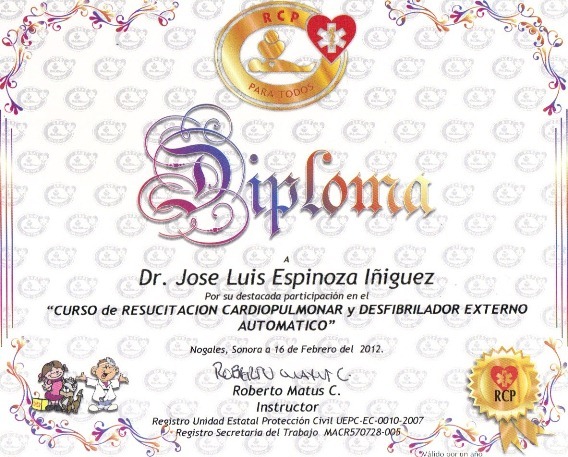 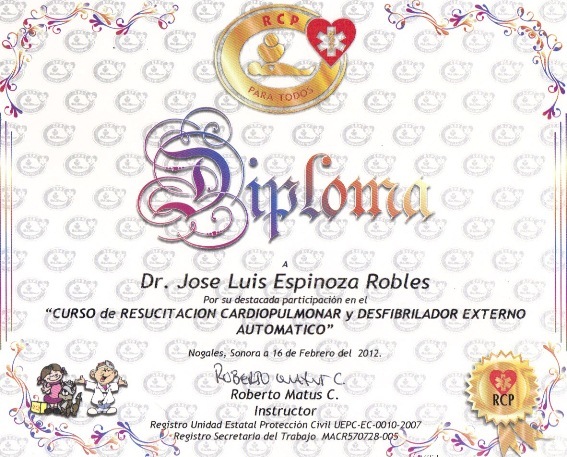 Cardiopulmonary resuscitacion and automatic extern defibrillator in Sonora, Mexico, - February 2012. 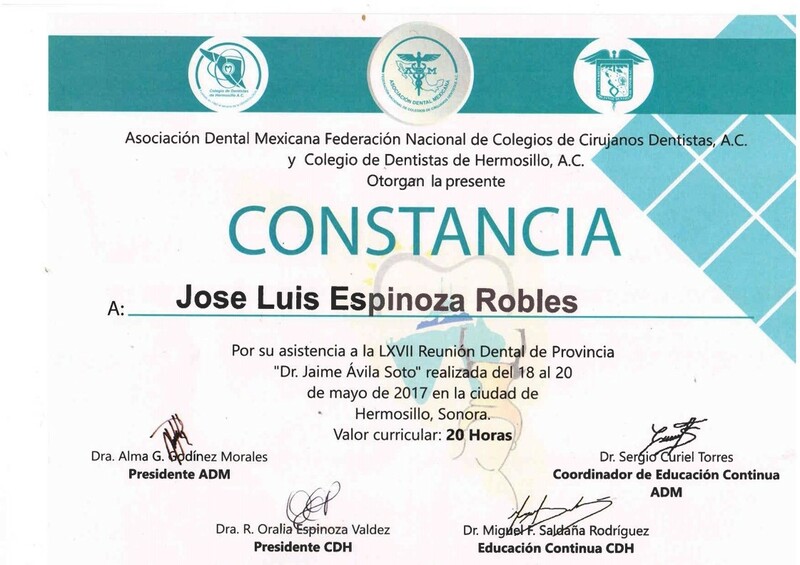 "LXVII Provintial Dental Reunion "Dr. Jaime Avila Soto" May 2017 Hermosillo Sonora"